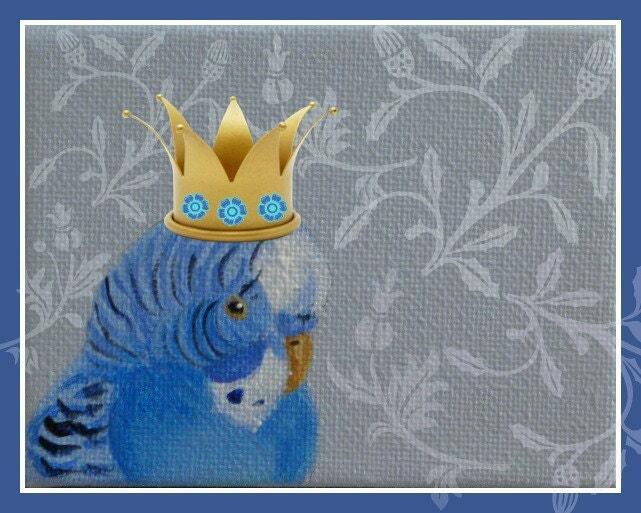 This sweet little Budgie is a Prince! His crown will be glittered to make this little card extra special. For any occasion to send to a lover of parakeets or birds in general. Each card measures 4" x 5" and comes with an envelope in a cello sleeve. Really nice item & fine transaction! The birthday girl loved it as did I. This card is spectacular! I will order it again. Beautiful ! Wow is this neat !